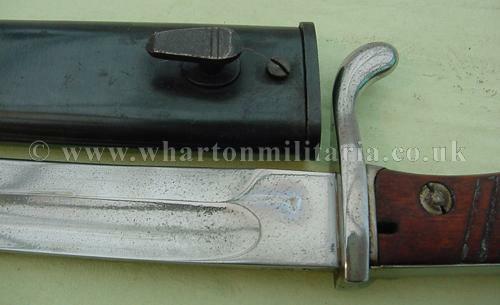 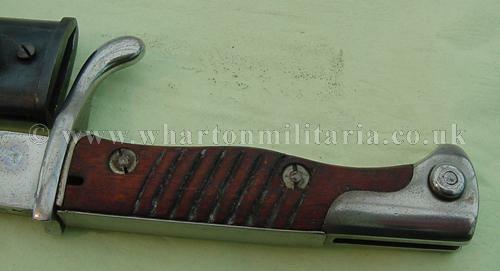 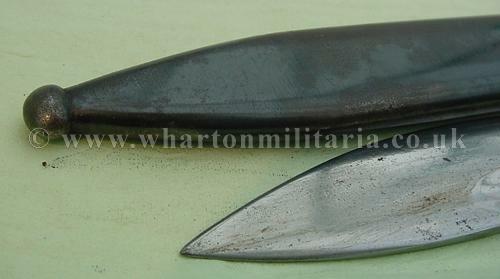 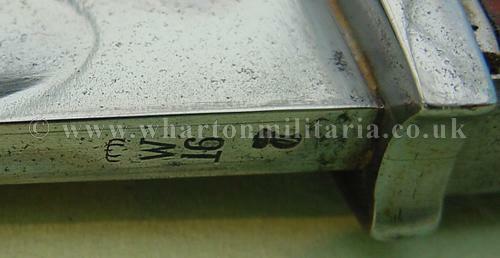 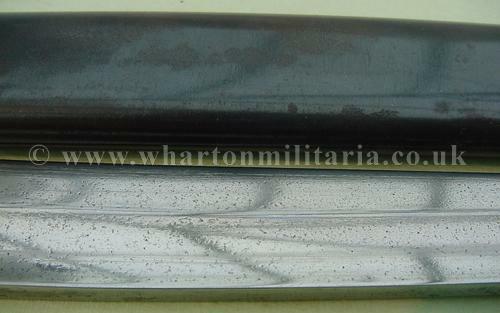 An extremely scarce 2nd pattern S98/05 Butcher bayonet and scabbard. 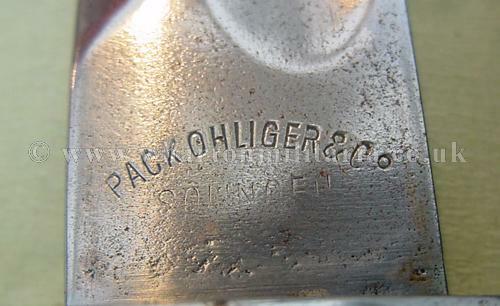 Maker marked 'Pack, Ohliger & Co, Solingen' (R2+ 'very rare' on the rarity scale).The second pattern butcher bayonet has the ears filed down on the crossguard, was made from 1915 until 1918 and came with a metal scabbard. 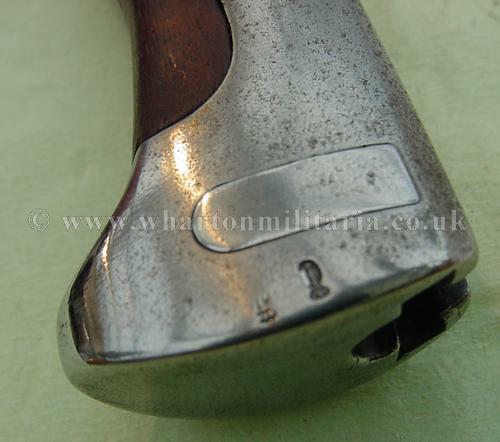 This example is dated 1916 and with the flash guard. 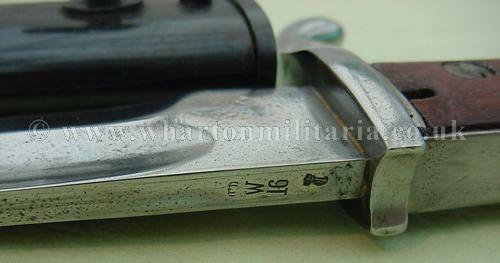 This is a beautiful specimen that would be difficult to beat. 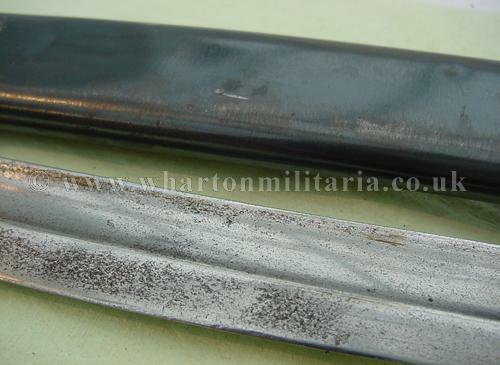 Some minor bumps to the scabbard rear, ball undamaged. 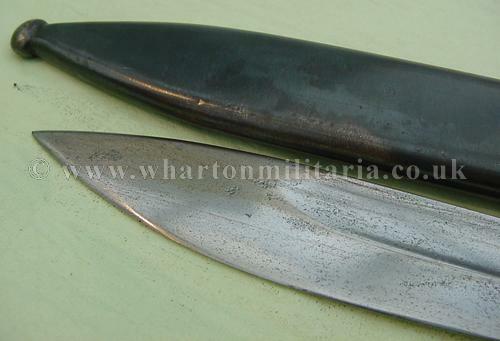 Blade lovely with some minor marks. 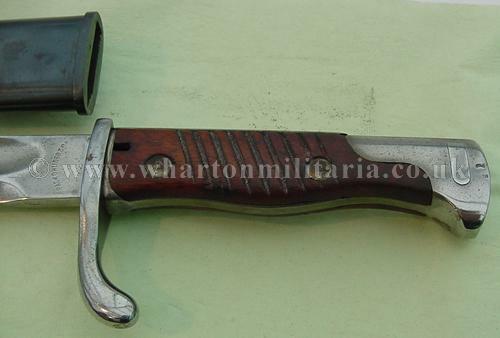 This is simply an outstanding 2nd pattern 'Butcher' with the bonus of a desired maker that only made the 2nd pattern bayonet.